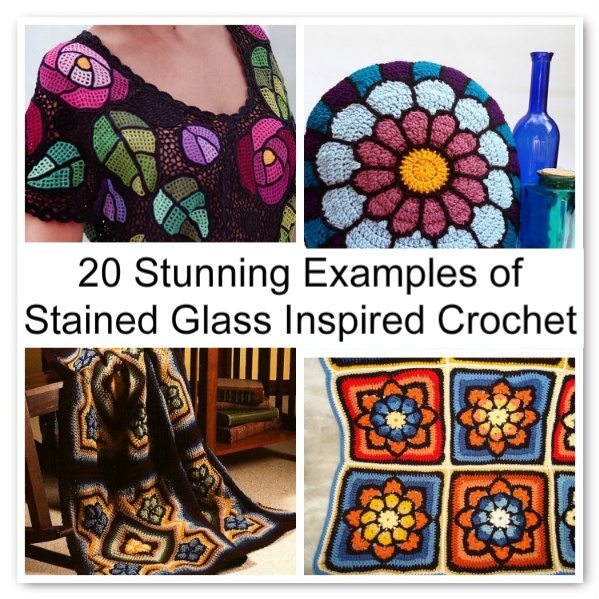 Stained glass never fails to catch my eye no matter where it is so it’s no surprise that I’m captivated by these crochet patterns and crocheted products that were inspired by stained glass. This crochet umbrella by Babukatorium reminds me of stained glass. 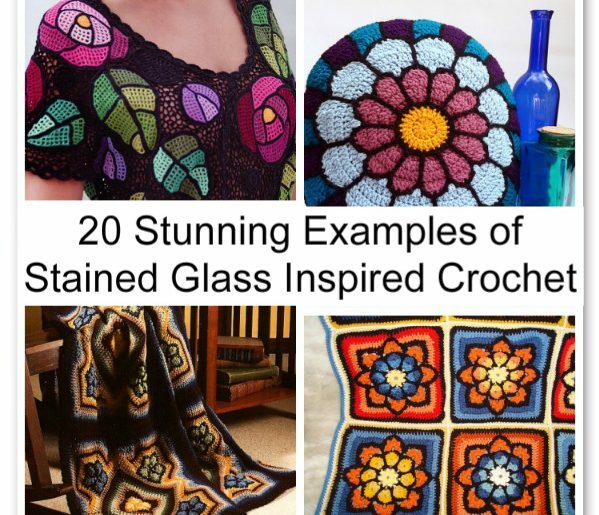 This crochet blanket sold on Etsy was inspired by two things: stained glass and TARDIS. Creative! LJDBags sells this felted crochet bag on Etsy. It reminds me of when you make “stained glass” with melted candy! This free crochet pattern is the outline of a stained glass snowflake; it would look great on top of colored fabric! This crochet blanket afghan pattern is made up of large stained glass squares. What a beautiful stained glass crochet blanket over on Soul Pretty! Flickr’s DaisyBeth says that this stained glass crochet pillow was inspired by the rose window in Notre Dame Cathedral, Paris. This stained glass crochet flower blanket is being sold on Etsy. This stained glass crochet cuff is sold by iceice on Etsy. This stained glass crochet blanket incorporates granny squares for an interesting pattern. It was published in 1-2-3 Crochet magazine. I like the combination of colored squares and solid squares on this blanket over on Craftsy. This stained glass crochet square pattern is by Julie Yeager. 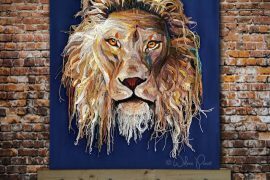 The photo is by Ann Mills on Ravelry. I love the stained glass look, too. 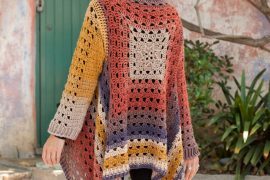 Thanks for sharing these – I even found a few new-to-me patterns :).